How can I manage my Location and Maps? HOME > SETUP AREA > How can I manage my Location and Maps? 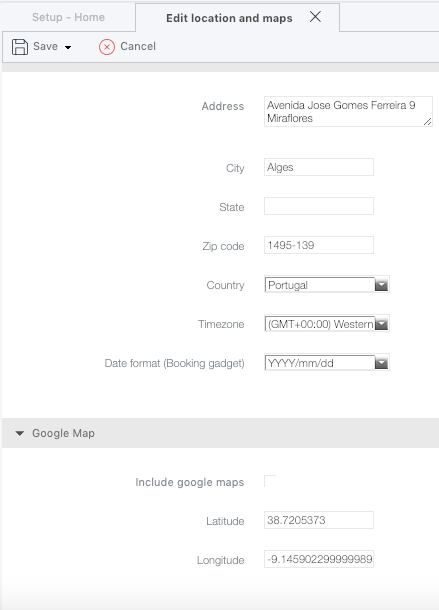 STEP 1: On the top right menu click on SETUP and select LOCATION AND MAPS icon. STEP 2: Click on EDIT button. STEP 3: Update the required information. If you want to change the date format displayed on the booking engine, you may do it by editing it in "DATE FORMAT (Booking gadget)". 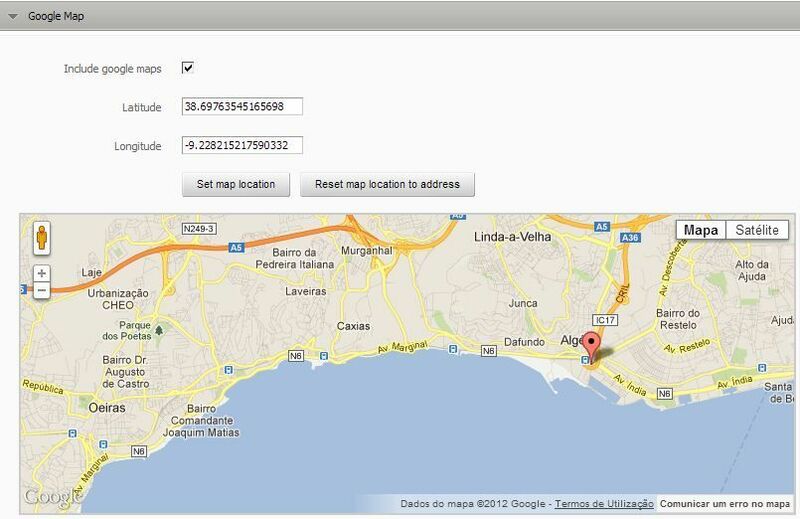 The field "INCLUDE GOOGLE MAPS" enables the map to be displayed in the "location page" of on a Guestcentric website. STEP 5: Confirm that you wish to update the current settings, by clicking on YES. With this configuration, hoteliers can add Points of Interest on their location page, so clients can be aware of nearby attractions that could appeal for them stay. STEP 1: First you need to go to Setup - Home - Location and Maps. STEP 2: On the new search box on the map, search for a Point Of Interest that you, as a hotelier, would like to show on your location webpage. STEP 3: When adding a Point Of Interest, click on it followed by a click on "add", and this Point of Interest will change from grey to the colour of the category that it belongs and the button Add will be replaced by Remove. 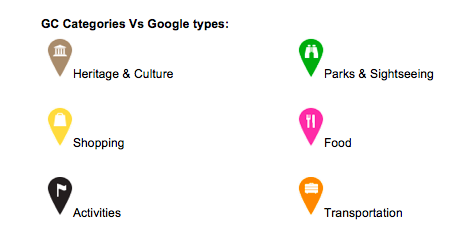 You can filter your Point Of Interest by category. By default, no category is selected and all are shown. If you wish to add them, category by category, for example, just check categories to see only Points Of Interests from that. When a Point Of Interest appears as "Not Listed" it's because they are added with a Guestcentric category that matches Google types. Unfortunately not all added POIs are well categorized in Google Maps meaning that a well know place may not be as so, leading to a “Category not listed” warning message in our backend. If you really want a Pont of Interest not listed to start showing, you can send that suggestion to Google here, so they can update their maps. Once they do, it will update Guestcentric maps as well and you will be able to add it to your property. For clients with a website developed by Guestcentric, make sure you republish your website, under the WEBSITE tab, to make sure any changes in this configuration will become visible online.